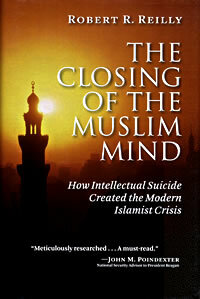 The Closing of the Muslim Mind: How Intellectual Suicide Created the Modern Islamist Crisis. The Closing of the Muslim Mind details the philosophical and theological foundations of Sunni Islam's rejection of reason as a necessary component of faith. This rejection of reason is not a recent development by Islamists, rather it can be traced back to Qur'an itself and the theological conflicts in the 9th and 10th centuries between the Mu‘tazilites and Ash‘arite factions. Al-Ghazali played an important role in extending Ash‘arite non-rational theology and ethics across the Sunni Muslim world. This book is both scholarly, readable, and enlightening for our understanding of Islam.